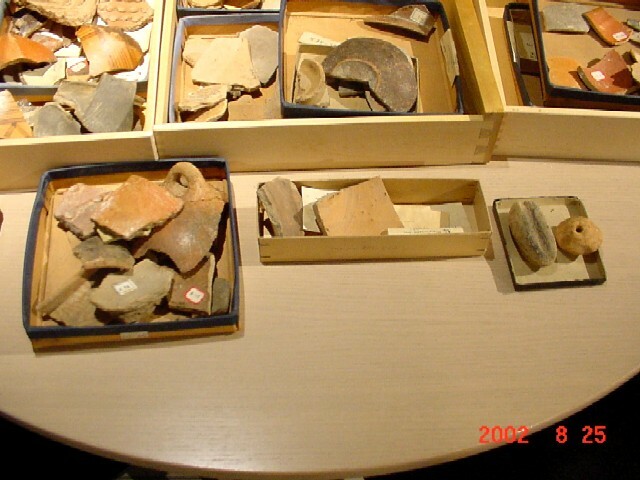 Many archaeological excavations have been done in Asea area during the 20th century. The first ones were done by the Swedish archaeologist Erik Holmberg, who died in 1997, during the period 1936-38. 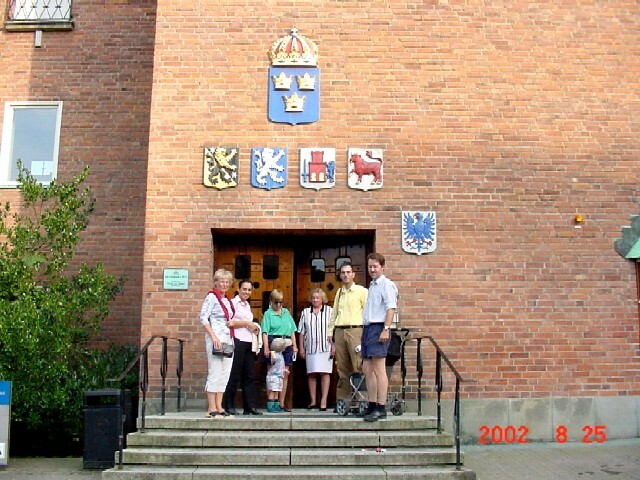 The excavations continued in the 1990's by a team of archaeologists from Gothenburg University. 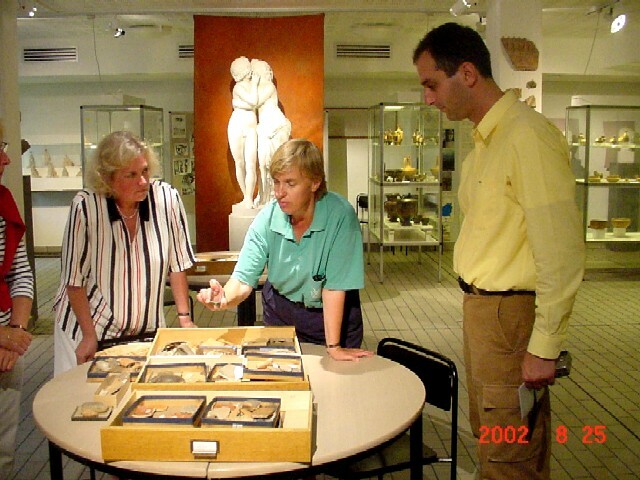 The leading persons in the excavations were Mr. Bjorn Forsen and Mrs. Jeanette Forsen. 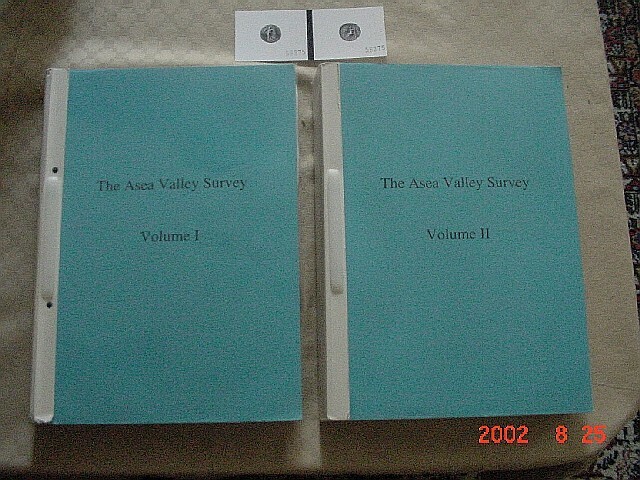 The two above archaeologists have published a series of articles about ancient Asea in archaeological magazines and they are ready by now to publish a new study consisted of 2 volumes about their latest excavations. According to their studies the city of ancient Asea had reached a population of 2000 to 3000 people. Furthermore, about 500 people lived in farms in the suburbs. It was always found in a strategic point and thus had great influence in the art by other parts of the Greek mainland (Corinthos, Messinia, Epirus) and from the Aegean islands (Aegina, Chios etc). 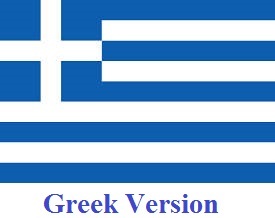 The region's civilization is considered that wasn't left back from other coastal regions of Greece but also some innovative techniques were applied there. There were invented, already from their Neolithic years 5500b.C. such pioneering techniques at the dye of vessels, that the colour reaches all the way from outside to their interior. 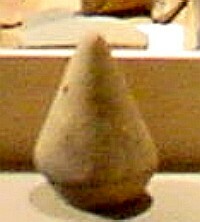 Also most vessels, according to a particular technique that was applied, had admirably constant thickness. The city in the Hellenistic years was covered by wall, not only in the point that appears today on the slopes of Paliokastro but also around its' top. In order to identify the area the wall had covered, a special radar was used. The ancient Doric temple that is found on Agios Ilias was probably dedicated to Athena and Posseidon, even if according to certain signs that were found nearby it's likely that it was a temple for the Arcadian god Pan. The temple was built between 570 and 540b.C. In the same place there are traces from an older temple that was built around 630b.C. Near the temple, there have been found marvellous vases that were left there from believers. Some vases are painted with representations of athletes that fight in pangratio, some others with Asea's soldiers in the war. This temple changed to Christian church during the Byzantine years. Another temple was built at the place where the modern cemetery of Ano Asea is. It was built during the archaic times. There have been found many Laconian columns. Xenofon refers that in Asea area, a big Arcadian army camp was found. Arcadians in coalition with Thebans fought against Sparta at 370b.C. Asea took part as a city in Achaean coalition and part of its population contributed to the founding of the city of Megalopolis. The coin of Asea that is found today in the British museum is dated between 196-194b.C. Near in the small church of Agios Nikolaos a marvellous Roman villa was found. At the medieval years the Asea village moved on the top of Agios Ilias for the cause of protection from invasions. There have been found graves from the 1380a.D. Also in the region of Asea existed two moreover villages: Roupakia, between Kato and Ano Asea and the almost forgotten village Papoutsi, behind the hills Kamvounia of Kato Asea on the way to Manari. 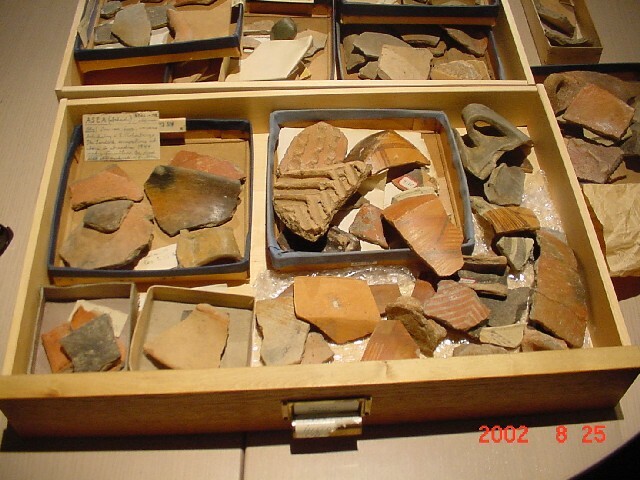 The exhibits that appear in the photos below are found in the museum of Classical Antiquities in Gothenburg, Sweden since Holmberg, who made excavations in Asea during the period 1936-38. 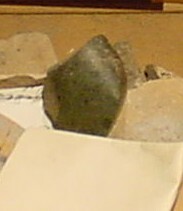 Middle: Part of a pot. 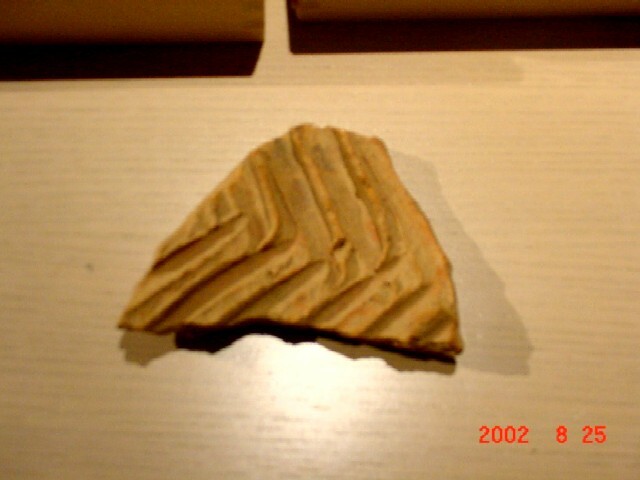 Neolithic period 5500b.C. 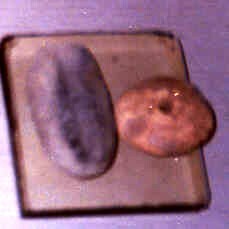 Right: Part of a spoon, Style influenced from the islands. the leader of the city of Asea had the priviledge to keep it. Tool for producing thread from animals' wool. Textile tools. (Early Bronze age). 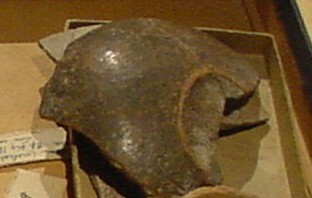 Part of a vase (Early Bronze age). His own script can be seen in the middle. Probably honey was stored in it. 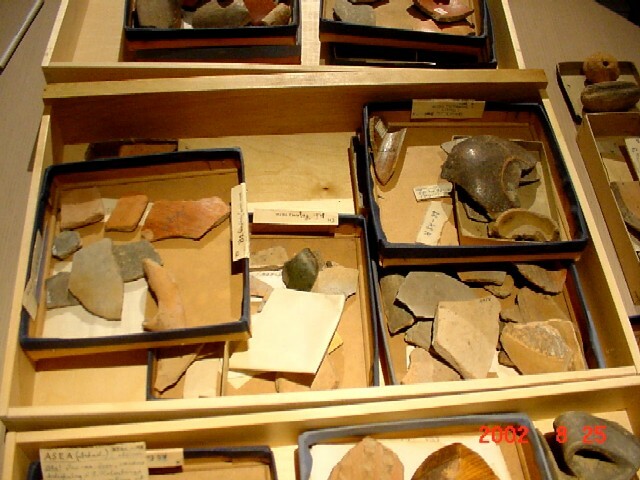 Pieces from middle Neolithic period (5500b.C.) vases. What is admirable is the constant thicknes of the vases. Mrs. Jeanette Forsen and the museum guard during the presentation. The new survey that is ready to be published about Asea excavations. In the upper part photos of Asea coin (196b.C. )are seen. The entrance of the museum of Classical Antiquities in Gothenburg, Sweden. 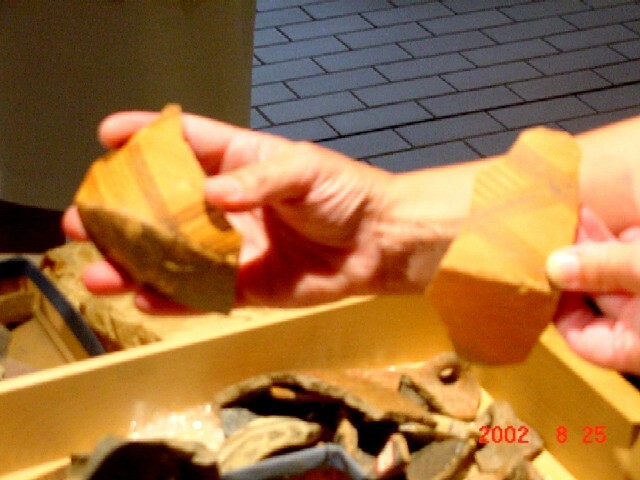 The full presentation videos by the archeologist Jeanette Forsen at Gothenburg museum in August 2002.